The Mitsubishi Debonair is a four-door luxury car, introduced by Mitsubishi Motors in 1964 to serve as their flagship passenger vehicle in theJapanese domestic market. The word "debonair" means "gentle, courteous, suave, lighthearted, nonchalant". The Mitsubishi Debonair was first introduced at the 10th All Japan Motor Show (later renamed the Tokyo Motor Show) October 1963. Its appearance at the time was described as "dignified" and was one of the first Japanese-built sedans with a luxury intent, using a 2.0 L six cylinder and its exterior dimensions were just under Japanese government regulations for vehicles classified as "compact" while offering a spacious interior and luxury refinements of the period. At its introduction, it was regarded as a luxury Mitsubishi Colt 1000, as the Mitsubishi Galant had not been introduced until 1969, and was the largest sedan Mitsubishi had built to date. In Japan, it was sold at a specific retail chain called Galant Shop starting in 1969 with the introduction of the Mitsubishi Galant. At the time of the Debonair's introduction, Mitsubishi had a market reputation of building small, economical sedans, letting other manufacturers build larger, more expensive sedans. The Debonair was seen as a special purpose vehicle, and not marketed towards the general motoring public. Production began in time for the 1964 Summer Olympics held in Tokyo in October 1964. 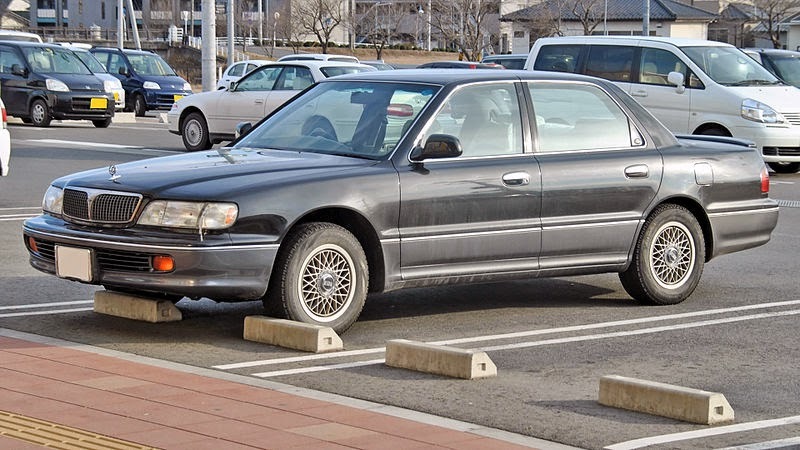 Three distinct generations were available during its 35-year production run until it was replaced in 1999 with the Mitsubishi Proudia in an attempt to continue to offer a top level luxury sedan. The first and second generation models were used by senior level executives of the Mitsubishi Group and affiliated companies, or essentially a Mitsubishi senior executive company car made by the motor vehicle division of Mitsubishi. As a result of the Debonair's perceived primary purpose as a "senior executive vehicle" the Debonair did not undergo regular improvements to its exterior appearance, while the mechanicals were routinely updated with the latest advancements as the years progressed. The international introduction of the Honda Legend in 1986 influenced many traditional Japanese luxury sedans to update the appearance of their vehicles, including the Debonair. 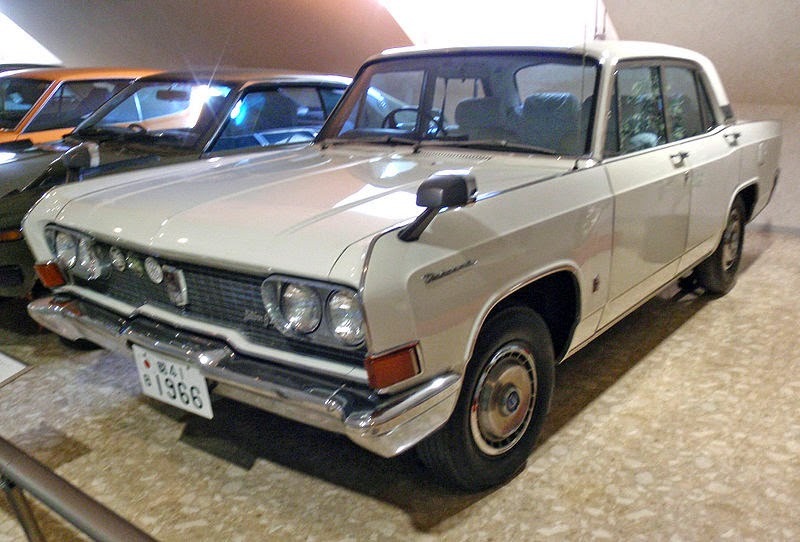 The Debonair was Mitsubishi's competitor to the Nissan Cedric, Prince Gloria, Isuzu Bellel, and Toyota Crown and during the first generations production, the appearance remained generally unchanged from 1964 until 1986, sharing an appearance tradition with the Toyota Century, that being iconically recognized as a senior executive sedan exclusive to the Japanese domestic market. Although it received several minor redesigns (denoted I through IV in Roman numerals), the vehicle proved popular enough in the Japanese executive market to remain in production for 22 years without major appearance modifications. The Debonair was largely the result ot former General Motors designer Hans S. Bretzner, while the result shows to be largely influenced by the 1961 Lincoln Continental designed by Elwood Engel, as evidenced by the slab-sided body panels, squared wheel wells, extended protrusions at the front of the vehicle, and tapered fins at the rear, with a rear tail light cluster, exhibiting a "Continental" -esque appearance. It used a double wishbone front suspension with leaf springs and a differential for the rear axle for the entire generation. Powered initially by the KE64 1,991 cc straight-six engine with twin carburettors and dual exhausts, it developed 105 PS (77 kW; 104 hp) at 5,000 rpm, and had a maximum speed of 155 kilometres per hour (96 mph). The front grille had a "MMC" badge, denoting the newly formed at the time Mitsubishi Motors Corporation creation. From September 1970 the 6G34 "Saturn 6" (1,994 cc) engine was installed, and exclusive to the Debonair as the "Executive" trim package, increasing the engines power output to 132 PS (97 kW; 130 hp) which gave the car a top speed of 180 kilometres per hour (112 mph). The badge on the front grille was changed to signify the Saturn engine was installed, and a "MCA-Jet" badge was also included. This model received the A31 model code. In October 1973 the Debonair underwent a facelift: the front turn signals were made smaller and moved upwards on the fenders, the front ventilation windows were deleted, and the L-shaped taillights were replaced by rectangular units. The model code was not changed after this facelift. The 1976 model saw the removal of a manual transmission, leaving the only choice of a three-speed automatic, sourced from Borg-Warner. When the 4G54 "Astron" 2.6 L four-cylinder engine was introduced June 1976, the trim package was renamed "Executive SE" and the model code became A32. The Debonair received additional technical advancements such as anti-lock brakes in 1979. The badge on the front grille was again changed to signify the engines displacement of "2600" and the "Astron 80" update. These were replaced by "MMC" badges in November 1982. In April 1978, responding to tightened emissions standards, Mitsubishi introduced a de-smogged model and the chassis code was changed to A33. Amazingly, the outdated first generation Debonair continued in production until the summer of 1986. By the end, its availability was largely academical: in its last full year of production (1985) a mere 205 units were sold in Japan. In July 1986, Mitsubishi dramatically changed the appearance of its top-level "flagship" sedan Debonair, as its previous version was seen as extremely rare and not a sales leader or image maker of Mitsubishi vehicles. The all-new Debonair adopted a front-wheel drive format, a cost-effective way to increase interior space without investing money on engineering in an executive sedan. It also came with Mitsubishi's first V6 engines, the 6G71 2.0 L and the 6G72 3.0 L under the "Cyclone" moniker, which were shared with the Galant model line later. So as to comply with Japanese government regulations concerning exterior dimensions and engine displacement, vehicles installed with the 2.0 L engine were installed in a shorter and narrower car - accomplished simply by fitting smaller bumpers. Fitted with the 150 PS (110 kW) 3-litre V6, the Debonair would reach 195 km/h (121 mph), if it wasn't for the mandatory 180 km/h limiter used in Japanese cars. The Debonair took full advantage of the front-wheel drive to allow for lots of passenger space. The cavernous trunk was also designed so as to ensure that two sets of golf clubs could be carried. The new Debonair was a reasonable success; sales in its first full year (1987) were 6,230 cars in Japan, compared to a mere 205 of the predecessor in 1985. A 150 PS (110 kW) supercharged version of the smaller engine was added to the line-up in February 1987, using the world's first needle rollerrocker arm assembly. This generation was badge engineered and was introduced to the Asian luxury car market as the Hyundai Grandeur, giving Hyundai a luxury sedan to shuttle foreign dignataries during the 1988 Seoul Olympics. As Mitsubishi and Chrysler had a business relationship where automotive technology was being shared and used in both Chrysler and Mitsubishi products, this generation Debonair does have some visual similarities with the 1983–1988 Chrysler New Yorker of the same time period. The platform used by this generation was unique, and was not shared with the Chrysler K platform. The suspension was upgraded to McPherson struts for the front suspension, and the rear suspension used a three-link torsion axle. The only transmission available was a four-speed automatic unit. Unusually for Japan, there was also a full stretch limousine version available briefly, beginning in 1987. These were largely handbuilt by Mitsubishi's Aichi dealership chain and were stretched between the doors by 600 mm (24 in) for a total overall length of 5,465 mm (215 in). This generation was also the first to install a V6 engine, and the car was called the Debonair V, with a badge on the back of the trunk, and a "V" hood ornament. The name also continued the naming of the various iterations of the previous generation Debonair by Roman numerals I, II, III, and IV. The Roman numeral identification approach was also used on Mitsubishi's top-of-the-line sports car, the Mitsubishi Starion to identify specific trim packages. In the fall of 1989 a twin-cam version of the 3 litre V6 with four valves per cylinder was introduced, by which time the supercharged two-litre was dropped as the regular two-litre engine received a power upgrade. Power for this version jumped from 155 PS (114 kW) to 200 PS (147 kW). This engine became the only option for the AMG version. Top speed for the 24 valve V6 is 215 km/h (134 mph) according to period sources. For model year 1990, the Debonair was joined by a new, more modern looking and sporting executive sedan, called the Mitsubishi Diamante (also known as the Sigma) in an attempt to keep Mitsubishi competitive with new executive sedans, such as the Honda Legend and other Japanese luxury sedans as the Debonair continued to be perceived as dated in appearance. The motivation to introduce a modern looking, executive level luxury sedan also took place in what has become known as the Japanese asset price bubble period that began after the Plaza Accord agreement in 1985. German tuner AMG was brought in to enhance this version of the Debonair, which primarily consisted of exterior body treatments. The AMG version came in two configurations; the standard length and later the Debonair V 150 AMG, with 150 mm added to the wheelbase. The "150" limousine (only with 3-litre engines) was first shown in October 1990. In the Japanese crime drama TV show "Gorilla" a Debonair AMG is used. British luxury apparel manufacturer Aquascutum was also commissioned to design an exclusive interior appearance package for the Debonair, soon after the company had been purchased by Japanese textile conglomerate company Renown Incorporated; the supercharger was installed optionally with this particular trim package. Even after the introduction of the more modern Diamante, the Debonair underwent one last facelift, mostly in order to update the passive safety of the car. Along with light cosmetic changes, this took place in May 1991. It included a slight power upgrade for the 24-valve V6, now with 210 PS (154 kW). By October 1992, production of the second generation model had ended as the third generation Debonair was being introduced. The third model debuted in 1992, longer and wider than its predecessors. The wider range of available engines was now topped by a 260 PS (191 kW; 256 hp) 6G74 3.5 L DOHC V6, and as Mitsubishi's domestic flagship incorporated much of the company's technology, including four-wheel steering, four-wheel anti-lock braking system, electronically controlled suspension, GPS guided navigation, rear focused camera for parallel parking, self-closing doors, laser-guided cruise control, and INVECS automatic transmission with traction control. Vehicles installed with the 3.5 V6 were longer, while the wheelbase remained unchanged for the regular versions. As this generation was Mitsubishi's flagship limousine, the bodystyle that was compliant with Japanese government regulations concerning exterior dimensions and engine displacement was no longer offered. The suspension was upgraded to McPherson struts for the front suspension, and the rear suspension used a multilink approach. Much of the technology installed in this generation Debonair was shared with the Mitsubishi GTO. It was discontinued in 1999, and directly replaced by the Proudia. 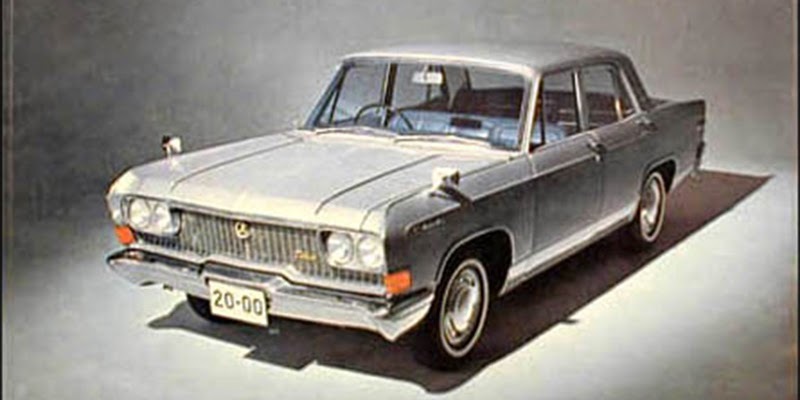 However, Mitsubishi also developed its first V8 engine for the new Dignity limousine around this time, and it was this latter model which took position as the domestic flagship of the company. There were a multitude of trim packages with varying levels of equipment. The trim level names started with Executive (I, II, III), Exceed, Exceed Contega, and Exceed Type A, B, C. Each model year rearranged the trim level names according to the perceived market conditions. Last updated on 28 April 2014 at 12:26.